The power of social media cannot be overemphasised and people on the internet are often willing to help in case of a disaster or tragic news. However the empathy of people on social media seems to be the undoing of a young girl identified as @damilolaajayi_ on Twitter. 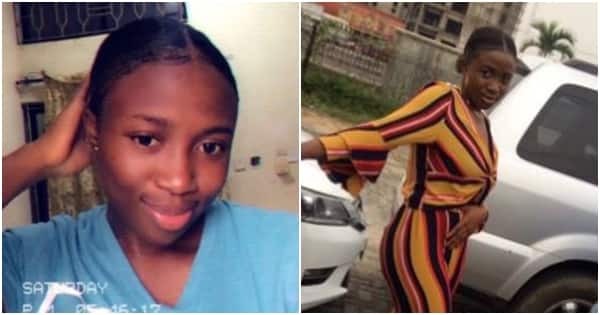 Damilola was declared missing and people on social media tried to discover her whereabouts. It was added that she had left home for work but did not show up at the office. Her office also called home to report that she was not around the previous day. Damilola who is a student of Covenant University was later found and it was discovered that she had travelled from Lagos to Ibadan to spend time with her boyfriend. It was also gathered that she had claimed to be kidnapped and molested, but the truth of her whereabouts was later found out. Meanwhile Legit.ng previously reported that a Nigerian lady recently took to social media to search for her beautiful friend who went missing. The lady identified as @starryeyezdiva revealed that her friend, Temi, who is 25-year-old. @starryeyezdiva narrated that her friend had left Lagos Island on Sunday night, March 17, to go back to her home in Ipaja. On the Twitter post, the young lady noted that she was last seen wearing blue jeans and white tee-shirt and face cap.